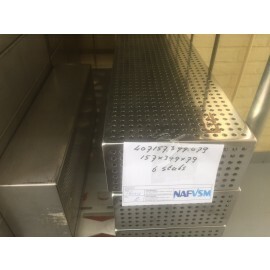 NAFVSM has on stock available 10 secondhand sterilization cases. They are used for the sterilization of ampoules. The cases have the internal dimensions: 157x399x79mm and external dimensions: 162x402x79mm. Our sterilization cases are made of RVS and have a perforated bottom and top. 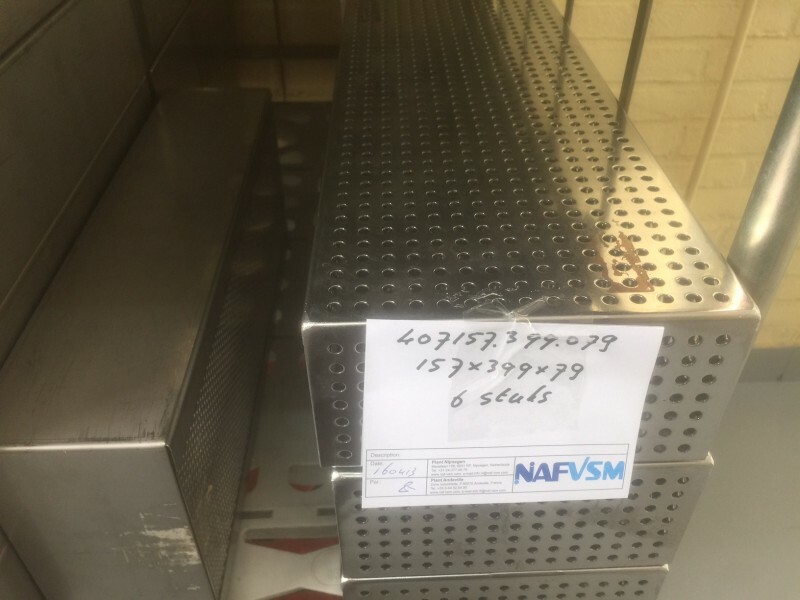 NAFSVSM only sells the 10 sterilization cases as one batch in one delivery.